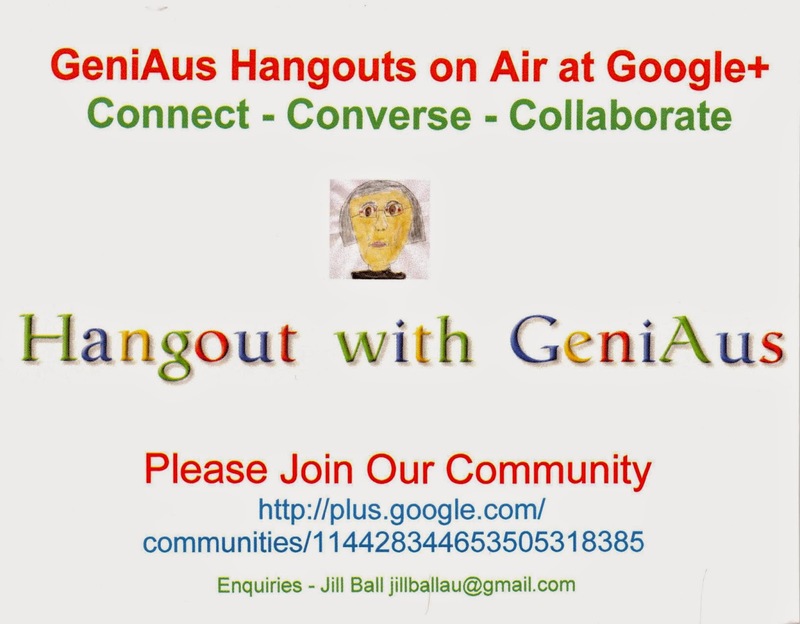 After quite a break I have scheduled the first GeniAus Hangout on Air for 2015. You are invited to join me on Monday evening, 8:00pm Sydney time, to discuss the topic "To do or not to do (over) - that is the question"
Hangout details and RSVP can be found here on Google+: https://plus.google.com/u/0/events/c4ormfop18fmnobgp5ght2a5cbg. If you are not a member of the GeniAus Community at Google+ then you might also consider joining. I have plans in train for two further Hangouts this month, I will share details as soon as they are firmed up.